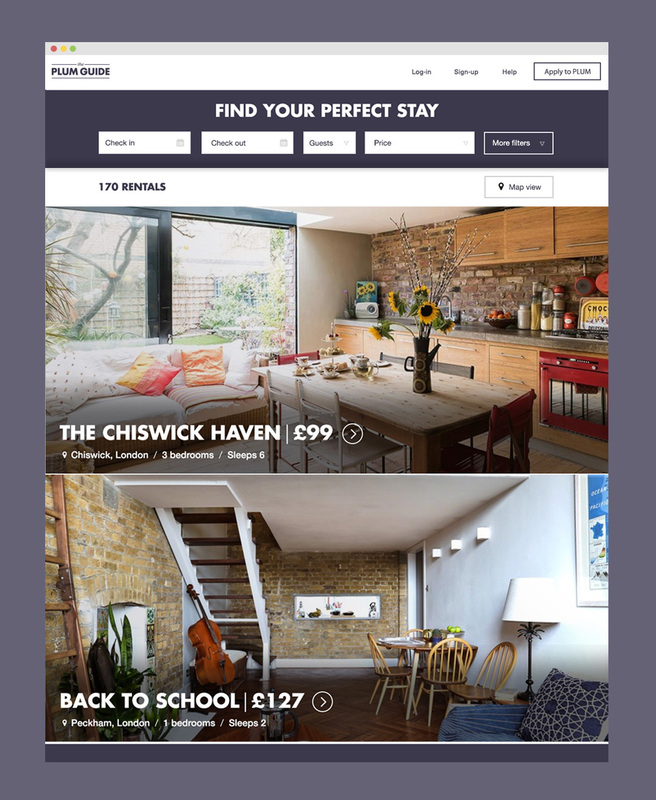 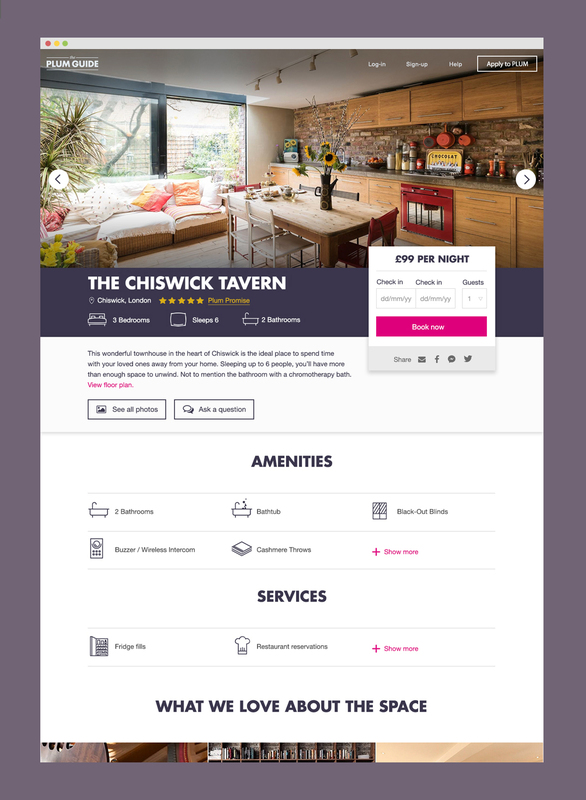 The Plum Guide is “like Airbnb but curated and featuring only luxury properties in London.” Plum got in touch with me 3 months after their launch as they wanted to boost the conversion rate of their MVP. 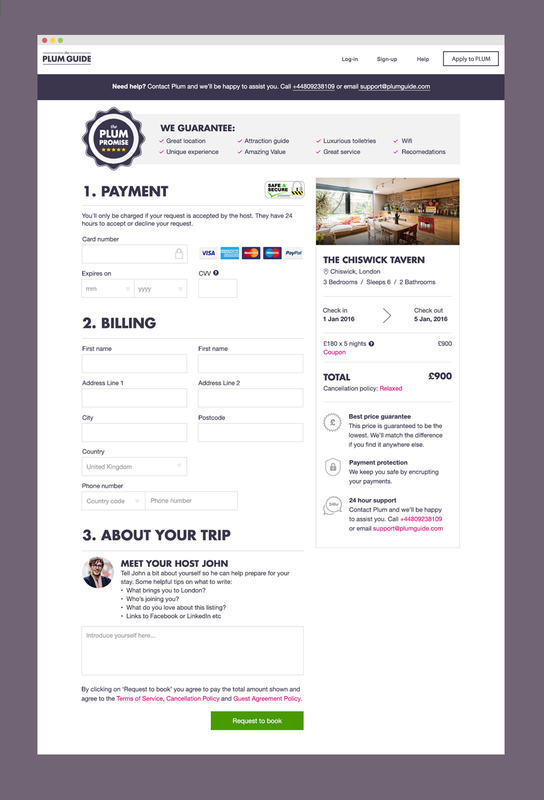 They were happy with the visual design of the site already, but wanted to perfect the user experience, making it crystal clear to users what they do and why they should choose Plum. 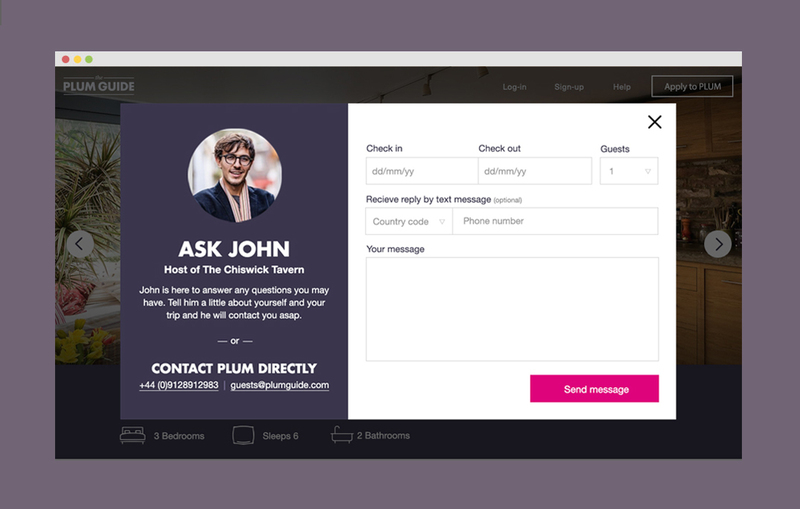 I provided consultancy for Plum, advising them on design tricks and best practices, and executed these ideas on some of the key pages for both desktop and mobile. 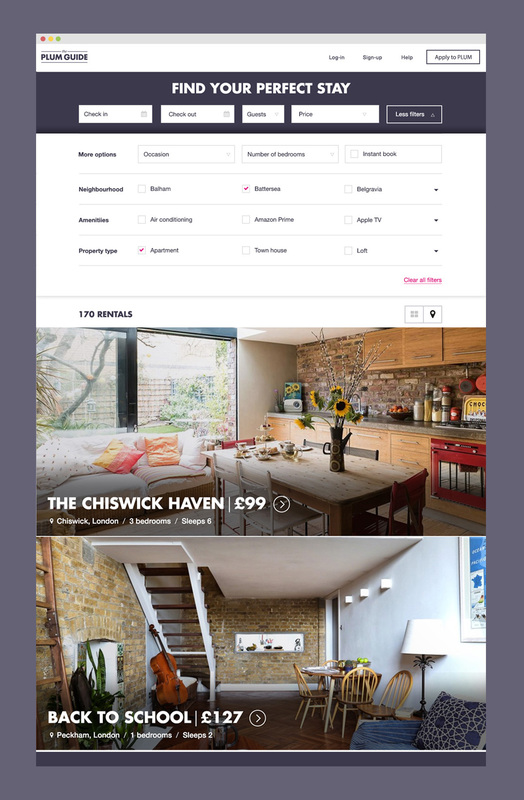 Screens included: search, search results, product page, contact and booking.